Garden Goodness-Choose Bird Size: Small Birds-Lovebirds, Cockatiels, Parakeets, Etc.Parrots-African Greys, Amazons, Macaws, Cockatoos, Etc. Garden Goodness® : Contains wholesome, nutritionally balanced nuggets with a bountiful mix of nature's own fruit and vegetables. 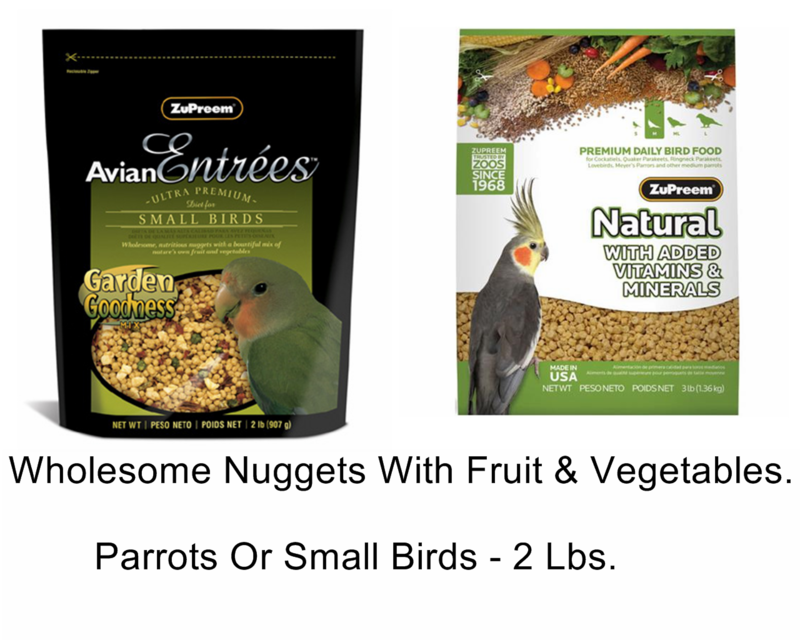 2 Pound Bags: Choose Garden Goodness for small birds or for parrots, above. 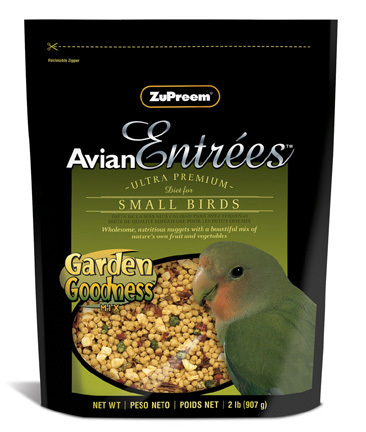 Avian Entrées are ultra premium, diets designed for everyday use by adult birds. •A tantillizing mix of tastes, colors, shapes and textures that adds variety to a bird's diet. •Nutritious pellets combined with tasty fruits and vegetables that meet or exceed the accepted nutrient requirements for the maintenance of small and large birds.